Having slept quite well, I woke up one fine morning refreshed and in an excellent mood. People who know me will note that this is exceptional behavior and perhaps even cause for alarm. My routine had all the usual morning hiccups associated with my as yet decaffeinated state: I dropped the spoon while making my coffee; I found a dark thread on my white bathrobe, which it seemed I had inadvertently put on inside out; the butter knife slipped from my hand mid-toast; reaching for it, I hit the bread and overturned it; I took a new piece of bread (and new knife) and re-booted. Thus reconfigured, I proceeded to my breakfast. No one had been injured or mutilated, and I had managed to keep myself alive in those few crucial minutes before the coffee. Business as usual. When we all sat down — amicably enough I thought despite their criminal predispositions — they explained it all to me rationally. I had summoned them, it seems, through Serbian superstition. By dropping the spoon, it meant that a woman would visit; she was blond because I found a dark thread on my bathrobe (crni visi, bell misli). She brought me new clothes because I had been careless enough to inside-out the above bathrobe. And although I appreciated the shirt, I could have had less of the robbing-at-gunpoint business. But, there again, it was my own fault because if you place the bread upside-down, you will have no money. The man, who had not said anything up until now because of his full mouth, had come along because I caused a knife to fall (and therefore meaning a man would visit). By taking a new piece of bread with another on my plate (had I done that? ), it signalled that the household would he hungry: so he stuffed all my food into his impressively capacious oral cavity. In my semi-consciousness, I had inadvertently broken ALL the unwritten rules and superstitions that I could cram into the thirty-seven seconds it took me to break them. We believe, it would appear, that things happen for a reason — we meet people, we get money and lose it, we are hungry, and we are either happy or not as a result of Cosmic Forces which we marshal to do our bidding by superstitions. There is no room tor random chance: in Serbia, if there is no legislation covering it, be sure that a superstition will lend itself to the occasion. The woman told me, while the man was still chewing my leftover cufta, that we have many of the same superstitions. A Serb will not walk under a ladder and is not fond of Friday the 13th. If you put your bag on the floor, you will have no money, and if you spill the salt, someone will cry. She went on to say that if you stir the soup with a knife, there will be quarrels at home: if you stir the soup with a knife, I thought, maybe you should not be in charge of the cooking. 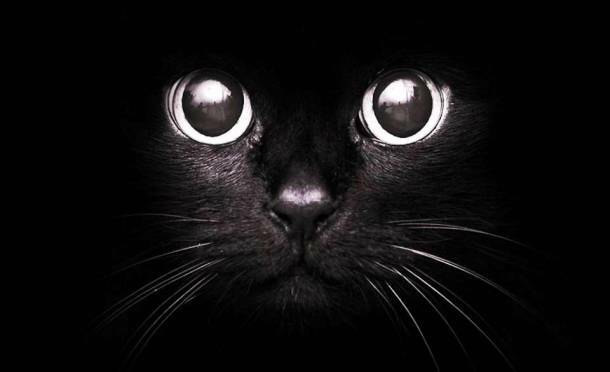 A black cat crossing your path is Bad Luck. To counteract this you must wait until another person walks in front of you and breaks the cat’s hex. One reader told me (again, a true story) that she once waited, with a gathering crowd of superstitious folk, two hours until some ingenuous person walked through the cat’s wake of evil. Cosmic Forces and random chance. Who knows what to believe in? Blaise Pascale’s famous dictum on the existence of God seems to apply: What harm does it do to believe? If God exists, you win! My breakfast routine may never change (although I will definitely stop answering the door) because I still cannot bring myself to adhere to these superstitions. This entry was posted in Essays and tagged bad luck, Belgrade, black cats, Chris Farmer, good luck, knife, ladder, luck, money, salt, Serbia, Serbs, spoon, Superstition, The Standard Deviation. Bookmark the permalink.